The planned international rollout of NFC services to Deutsche Telekom’s T-Mobile and Era mobile networks will use bespoke NFC SIMs developed by Giesecke & Devrient. The new SIMs will be “functionally expanded” and “go beyond the standardised NFC functions”. 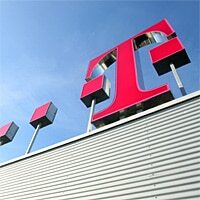 Deutsche Telekom, the parent company of the T-Mobile and Era mobile networks, has commissioned smart card, SIM and NFC specialist Giesecke & Devrient (G&D) to develop a new NFC SIM card solution that will be used in the telecoms giant’s planned rollout of NFC services in Germany, Poland, the Netherlands, Czech Republic and beyond. In February, Deutsche Telekom announced plans to introduce NFC services in Germany and Poland during 2011 and in the US, the Netherlands and the Czech Republic in 2012. The company also operates mobile networks in multiple additional markets in western and eastern Europe. The contract award announcement was made by G&D and doesn’t go into any details about the nature of the expanded functionality Deutsche Telekom’s NFC SIMs will have. Jörg Heuer from Deutsche Telekom Laboratories, however, gave a hint of the company’s future plans during a presentation at the NFC Payments Europe conference earlier this month. In his presentation, Heuer highlighted the importance of an open wallet approach and that NFC could be used to secure not only transactions but also IDs and entitlements within a “convergent wallet” solution. NFC is where the web and proximity converge to provide a truly user-centric identity and transaction instrument. Hardware security is at the core and must extend to all relevant interfaces. The wallet provider/operator must protect the user from harm caused from within the wallet and always ensure maximum user control and security. User interaction and functional modeling must be focused on ease of use, perception of security, transparency, and self-determination. Provisioning of objects into the wallet must be non-discriminating and long tail-capable. Value added services will extend the wallet’s versatility: backup/restore; lock/unlock; manage, provision, transfer and many more basic functions can be supplemented by alarms, tagging, location, insurance, and more. A convergent wallet must be able to easily adapt to new technologies such as biometrics, airwriting/gestures and new protocols.